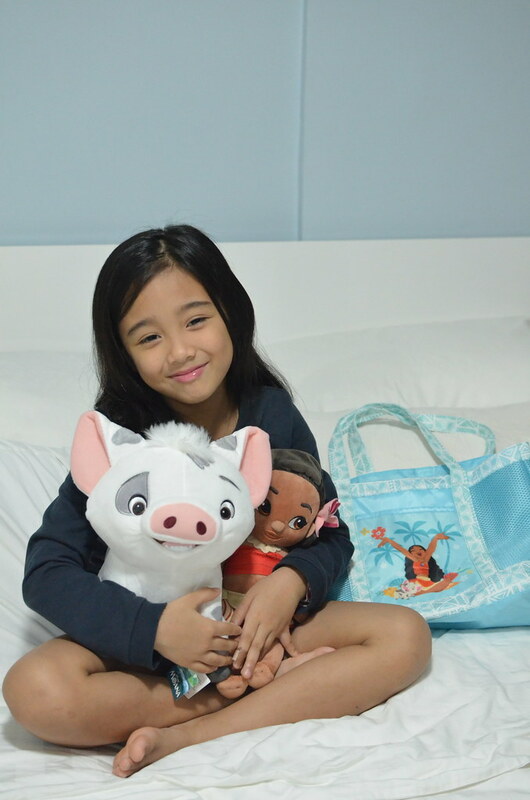 Anika was so happy because she received Moana merchandise over the weekend. She absolutely loves Moana! We must have watched the movie like a hundred times already. And yes, I already memorized the “How Far I’ll Go” song too. Hahaha! 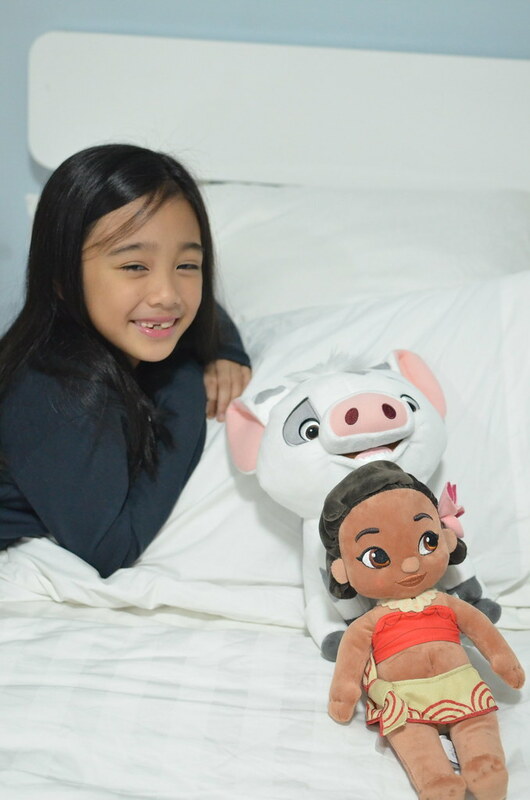 For me, it’s super okay that Anika looks up to Moana. She’s one of the Disney princesses (okay, she said she’s not a princess) who is fearless. Imagine, she had the courage to sail out in the unknown just to save her family. There are so many lessons to be learned, both by me and Anika, from the Moana movie. First lesson is the importance of family. In the movie, it was what drove Moana to brave the seas. She needed to help her family and community. That is something that we have instilled on Anika since she was little. We often tell her that other people may come and go in her life but she will always, always have her family especially me and her Tatay. We tell her na wala nang ibang magtutulungan kundi kami kami din. We tell her to cherish family relationships always. I saw that a while ago when we were in the drug store buying Alvin his medicines. Alvin wasn’t feeling well so Anika and I went out to buy him meds. On our way, Anika said that she wanted to eat cake so we planned to take out a small cake from a nearby well known cake shop after we go to the drugstore. While we were paying already for the meds, Anika said that we go straight home instead. I asked her why because she told me she really wanted cake earlier. She said that she wanted to go home already because Alvin is sick and that he might need somebody and we weren’t home. She can have naman daw cake some other time. I was so touched. I know we are in the right path in teaching her about love for family. And like in the movie, Anika is close to her two lolas. Both lolas adore her. She calls them up every now and then to check up on them. I make sure she gets time with her grandparents as much as possible. She’s lucky she still has both. I grew up with only my maternal grandmother and she lives pa in the province. I want Anika to have plenty of memories with her grandparents. I am also thankful because like Moana’s grandmother, Anika’s two grandmothers are very much in her life. She is able to bond with them and both lolas are able to help in raising her. Second lesson is never to give up. There were so many set backs that could have discouraged Moana to sail and not do what she wanted to do but she didn’t give up. We teach Anika that all the time. It doesn’t matter if she didn’t get high grades in one of her tests, the important thing is that she studied hard for it and she’ll try to do better next time. This happens quite often to Anika. Her teachers like joining her in contests but she seldom wins. In the first few contests, she feels bad. Alvin and I talk to her that winning is not everything. As long as she knew she practiced hard and did her best, whatever the outcome may be, okay lang. Try and try ang peg. Walang sore loser. If she didn’t win this year, try again next year. It’s very important that we teach our kids to be resilient. It’s okay to fail. What matters is how you stand up again. This contributes to their self confidence as well. Third lesson is for me as a parent. The lesson I learned is that we can’t shelter our kids forever. 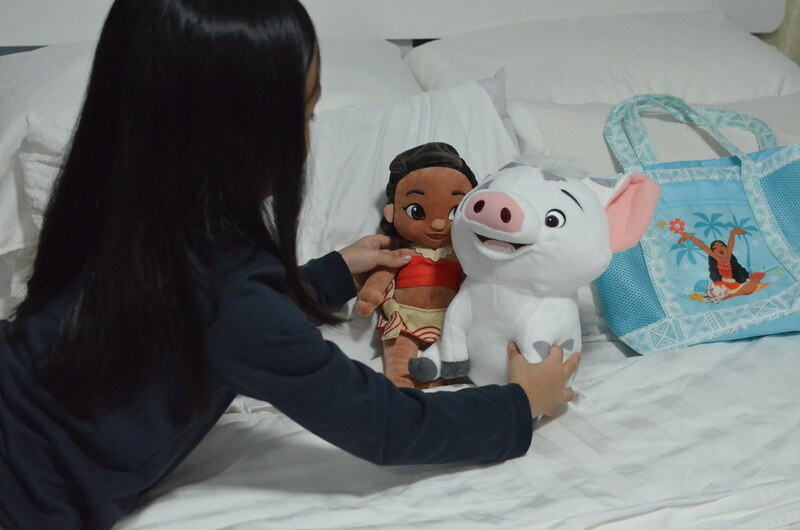 In the movie, Moana’s father prohibited her from going out tot he sea because he is scared that something bad might happen to her. I know it’s hard but we need to let go bit by bit so that our kids can grow and find themselves. It’s not healthy to make them cling to us because it is their life experiences and failures that will be able to teach them to survive in this lifetime. What we can do is to instill in them the proper values, guide them on their journey and be there to support and encourage them more if they fall. Fourth lesson is help others. Moana was unselfish and she cared so much for her people. It was the kindness in her that motivated her to set out and find the heart to Te Fiti. Kindness by helping others is the core of being a leader. I tell Anika this. She often comes home to tell me she was elected president of the class or the club or the leader of something. I explain to her that these are only titles. 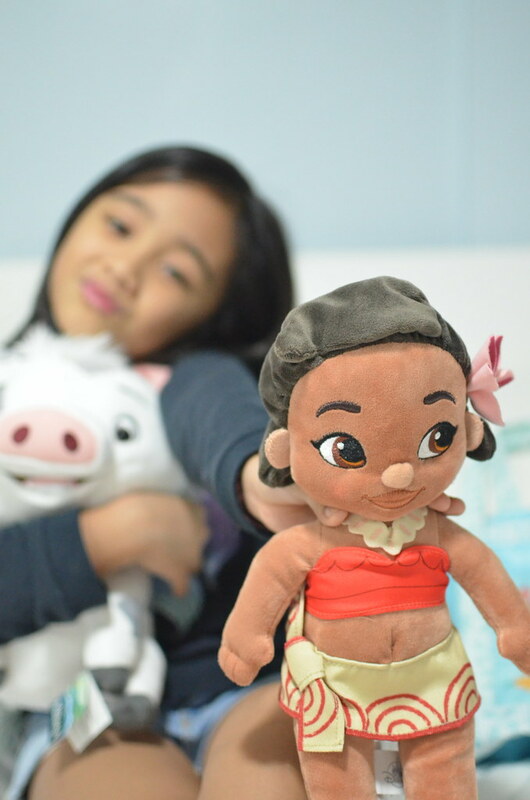 Being a leader is a responsibility, just like Moana who was soon to be their tribe’s leader after her father’s reign. It is important for a leader to be kind and helpful especially to his people. Kaya sabi ko kay Anika, if leader ka, dapat you are always ready na tumulong sa classmates mo. Oo naman siya. The last lesson is that you should follow your heart. All her life, Moana was told never to go beyond the reef because it’s dangerous. She was forbidden to sail. But she followed her heart and went anyway. She succeeded in getting her goal because she followed what’s inside her heart. Anika often asks me what club to take or what she should be when she grows up. Alvin and I ask her back, “What do you want?“. We can never dictate what she should do with her life. I know that people succeed when they follow their dreams. They work better and are motivated better if they are doing things towards what their hearts desire. I love Moana. She’s that #GirlBoss that I want my daughter to be. Anika’s asking when we can go back to Disneyland in Hong Kong so that she can see Moana again. The last time she was there was 4 years ago. I guess it’s time to go back already, huh? Speaking of Hong Kong Disneyland, they recently launched new attractions such as the “Carnivale of Stars” where guests can experience the stage show “Moana: A Homecoming Celebration”, the “We Love Mickey!” Projection Show and a new African-style Karibuni Marketplace. And for the first time, from June 21 to September 2 this year, Hong Kong Disneyland will have the first ever “Pixar Water Play Street Party”! You and your kids can join Mr. and Mrs. Incredible, Woody, Buzz Lightyear and their pals from Toy Story in a water based celebration along Main Street, U.S.A. Wait there’s more! Hong Kong Disneyland has exclusive offers for Filipino guests! We can save up to 20% off on guest rooms, starting from HK$ 1,200 at Disney Explorers Lodge, Hong Kong Disneyland Hotel or Disney’s Hollywood Hotel. If you book online, you get to enjoy a free room upgrade plus one Attraction Priority Admission pass per guest staying in the same room. There is also the “Play, Shop, Dine” Special packages where we can get a lot of discounts off the park tickets and merchandise sale.